Unfortunately, the movie tanked. Which caused the toy line to tank. 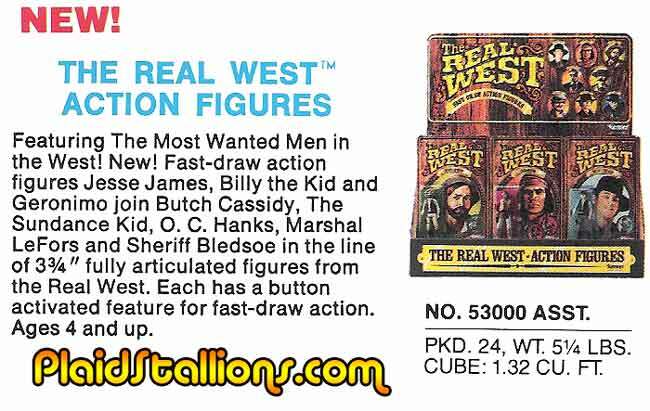 So Kenner regrouped and tried re-branding the line, The Real West, and making it a more generic “legends of the Old West” action figure line. They created the new logo and planned on redoing the toy packaging with the new banner. 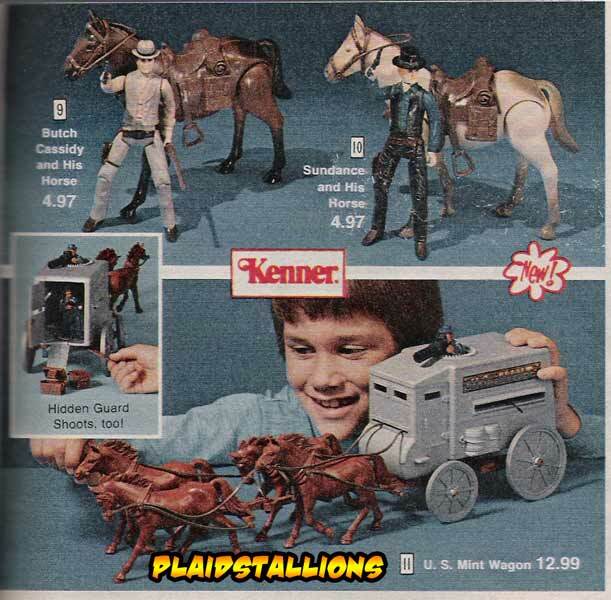 As part of the new toy line, Kenner planned on adding three new figures based on “heroes” of the Old West. The three figures would have been Billy the Kid, Jesse James and Geronimo. 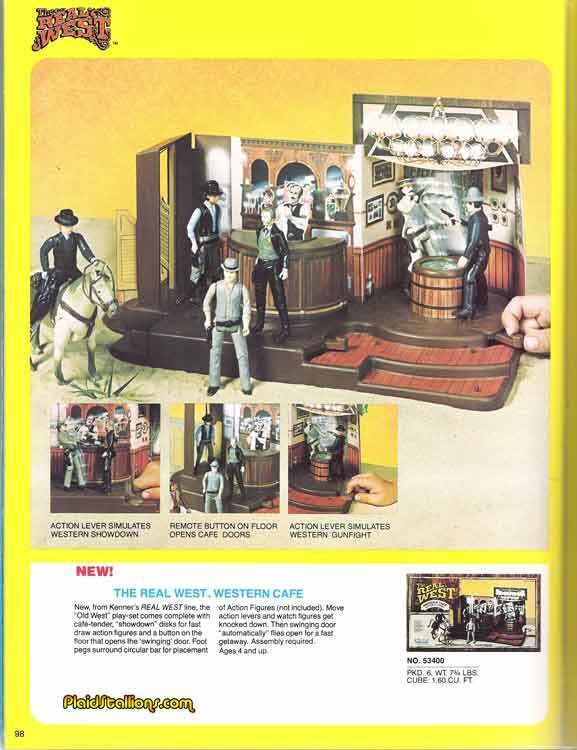 Kenner also retooled the Star Wars Creature Cantina playset into a Real West Western Cafe playset. Unfortunately, this Western Cafe playset would be the only new toy released with the Real West branding. Some of the original Butch and Sundance figures may have been released with the new branding, that’s unclear, but none of the new figures were ever released. It’s a shame that this line was hamstrung by a bad movie because where Kenner was going with the line looked very promising. And the toys were really well made and thought out. Plus that Mint Wagon vehicle is awesome. Who knows what else they would have come up with? As a side note, if the design of these figures looks familiar to you, the molds would be reused by Kenner to create the original Indiana Jones line of figures. This particular line is what I would like to see done today. Include famous historical figures like Billy the Kid, Kid Curry, John Wesley Hardin, the Dalton Gang and Wild Bill Hickok. 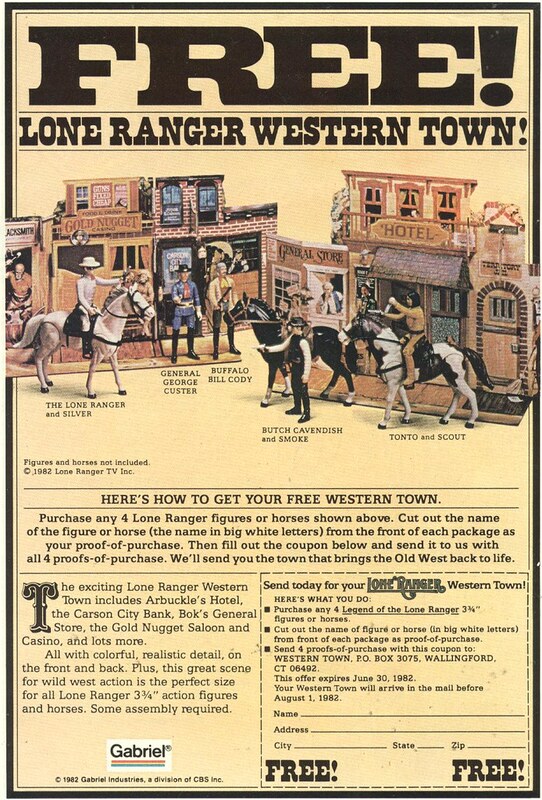 Include some nice horses, a western town, a cool stagecoach to rob and maybe even a train playset to also rob. You could even include famous lawmen like Wyatt Earp and Bat Masterson. It would be great. Unfortunately, I doubt we’ll ever see it. – Jaime talks about a little remembered Disney short, A Cowboy Needs a Horse. – Shawn talks about the aforementioned Gabriel Lone Ranger figures. – Tim from Flashlights are Something to Eat shows an adorable picture of the toughest little cowboy. – Fortune and Glory (Days) talks about one of my favorite Clint Eastwood westerns, Hang ’em High. This entry was posted on January 15, 2013 at 9:30 am and is filed under 80s, Billy the Kid, movies, pop culture with tags Billy the Kid, LEB, movies, pop culture, toys. You can follow any responses to this entry through the RSS 2.0 feed. You can skip to the end and leave a response. Pinging is currently not allowed. I remember ads for these in comic books at the time. They looked really cool to me, though I think I went in for the Lone Ranger instead. The saloon play set it epic! I never had any western toys that I can remember, but I did inherit a Red Ryder coin and wallet from my father. I think Red Ryder was some kind of Lone Ranger type clone. They probably grew him in a vat using advanced western technology from the Lone Ranger’s toenail clippings. That was back when action figures were works of craftsmanship! Still, the Sundance figure reminds me a little of the ROTJ-era Luke Skywalker figure.